Your membership means you are a part of our thriving community! You can be confident that we will represent you in and the neighborhood to the City, developers and our residents. You are invited to all of our events, mixers, meetings and presentations. We will send you occasional emails that keep you informed and current with your neighborhood. OPA members will also be able enjoy an amazing OPA benefit - the Main Street Rewards Card, normally $25, but free to all dues-paying OPA members. 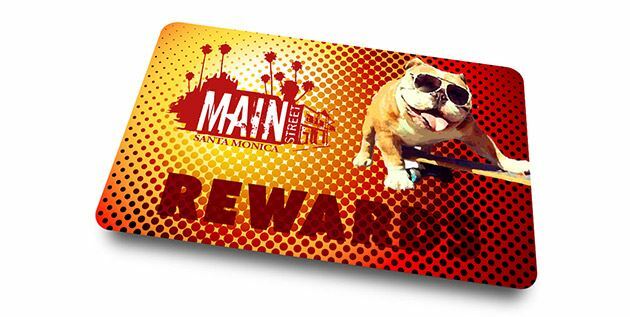 Just show the card at participating restaurants and shops on Main Street and you'll receive special discounts; sometimes 10% or more off your bill. If you are not already an OPA member, you can sign up at our next meeting and get a card to start saving immediately. Business Member - $50.00 (USD) Subscription period: 1 year Automatic renewal (recurring payments) Santa Monica Business Members are limited to Santa Monica and Venice businesses. Household Member - $30.00 (USD) Bundle (up to 3 members) Subscription period: 1 year Automatic renewal (recurring payments) Covers everyone in your household! Senior Member - $10.00 (USD) Subscription period: 1 year Automatic renewal (recurring payments) Senior membership is for ages 62 and over. Low income is self-declared.